The kitchen in your home represents a versatile space that should be given a lot of thought when it comes to home lighting renovations. From the preparation area to the table, every element requires its own unique lighting needs in order to create a cohesive, convenient kitchen unit. In order to be the best lighting company in Shelby, our experts have partnered with the Lighting One co-op in order to provide our customers with everything they could ever need to illuminate their homes. The Shelby Design Center is proud to host a quality lighting showroom staffed with knowledgeable professionals to supply the best solutions in the industry. Today, we’ll look at a few basic tips to help with your modern lighting needs in the kitchen, as well as advice for how to get the most out of your investment. One mistake many people make in lighting their kitchen comes from a surplus of excitement and a lack of planning. Oftentimes, shoppers will find a lighting element that they love, only to combine it with a random assortment of other pieces for the kitchen. Your home’s food preparation room should be planned thoroughly, layering in different light sources to create a scene that is not blindingly bright while also not being dangerously dim. Planning out every aspect of your lighting upgrades will help to keep within budget while avoiding losing focus on the final result that you and your family want. An ounce of prevention is worth a pound of cure, and our lighting experts are here to save you pounds of problems! The shape and color of your kitchen will play heavily into what will be the best home lighting for your kitchen. If you have darker paint, for example, more lighting will be needed to create a great balance. Sizing your kitchen will also help to determine the right configuration that creates a warm, safe space in the home. Kitchens that are mastodonic in size will fail to provide adequate illumination with a couple of pendant lights. Those that enjoy tiny homes will not be fans of your miniature kitchen if it is overpopulated with fixtures, providing far too much light to be comfortable. Work areas in your kitchen should include certain task lighting elements. When it comes to cooking, cleaning, and cutting foods, proper illumination is necessary to ensure your safety during any endeavor. Your sink, stovetop, and work-centered cabinets and tables should utilize a task lighting feature, typically between two and half and three feet off of the selected surface. Our lighting store has all of the pendants, island pieces, and undercabinet lights you need to optimize your work area in this vital part of your home. Track and monorail lighting systems are ideal for adding ambient and task lighting to your kitchen in a way that accents and matches your unique layout. Ceilings that are angled or generally not level in nature can benefit from monorail lighting, which highlights a suspended tract to create seamless features. When it comes to the lighting design for your kitchen, it’s important to pick a style that adds to the visual quality instead of detracting from it. Your home’s kitchen is one of the most versatile rooms in the house. It’s crucial to develop a lighting plan that will best accentuate each feature. Failing to follow a few key rules can end up ruining your house’s aesthetics while also requiring costly replacements and repairs. 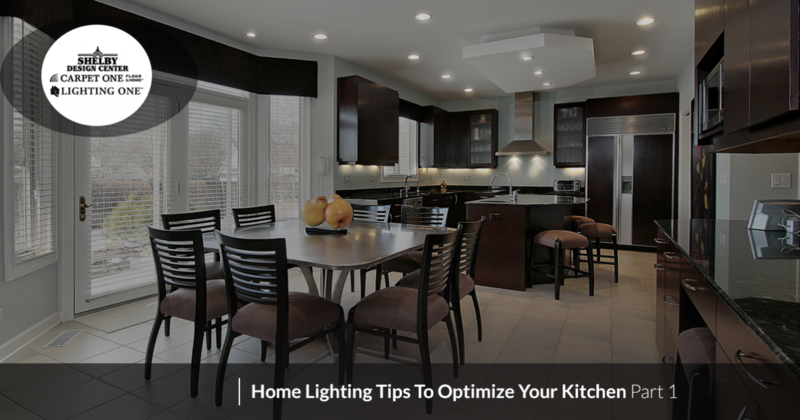 Next time, we’ll continue to look at kitchen lighting tips to help in your quest to upgrade your home’s interior. Our experts at the Shelby Design Center are here to help you with every aspect of illuminating your home. 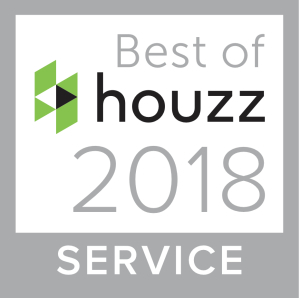 We’re proud to be a top lighting company in Shelby, delivering the best product options with the best advice in the industry. Stop by our lighting showroom to see our wide variety of options or contact us today for quick answers to your pressing questions!